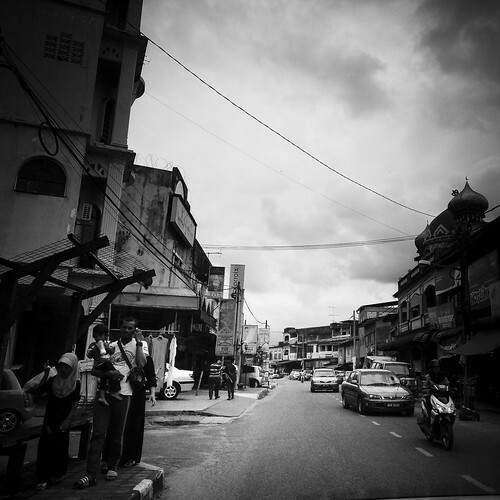 Thailand border | Kota Kinabalu, People and Places, Street Photography. Late afternoon on a street in Rantau Panjang, Kelantan. In Malaysia, we drive on the left side of the road. The small towns are often congested as more buildings are built while the streets remain unchanged. 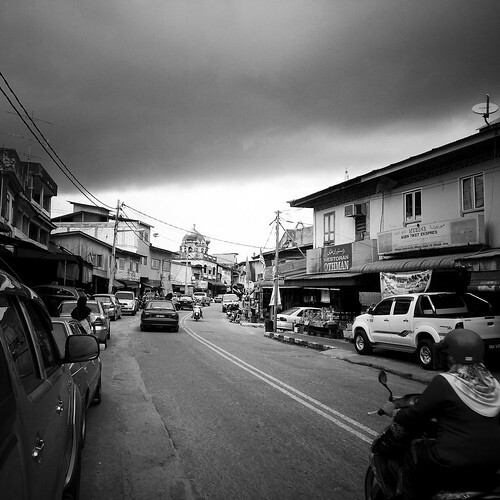 Narrow streets and a lack of parking spaces are common in rural Malaysia. Main street in Rantau Panjang, Kelantan. This bustling town is separated from Thailand by Sungai Golok. The main street is lined with old wooden shophouses on both sides. Some newer concrete ones can also be found. Motorbikes provide a convenient way to get around the town. There are many of them in these rural towns. A small town with a duty-free zone in Kelantan, separated from Thailand by Sungai Golok. Very popular for foodstuff, clothing and household wares. Malaysia (left side) and Thailand separated by Sungai Golok, Rantau Panjang. 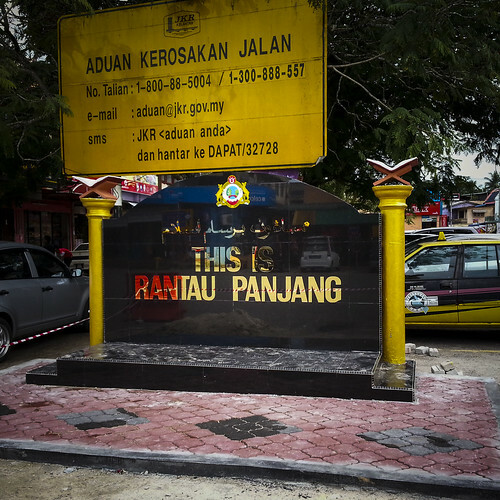 Rantau Panjang is a bustling border town about 40 km from Kota Bharu, Kelantan. It is separated from Thailand by Sungai Golok (Golok River). This rustic town has a duty-free zone popular for its Thai foodstuff, clothing and housewares. Not a sleepy town, the atmosphere here is generally intense.